There’s a comic where the boss tells an engineer to “give the customers what they want” and the engineer says, “They want better products, for free.” The boss promptly scraps that give-the-customers-what-they-want nonsense. You can now get Fish Lake: Beginnings in the app store, for free. 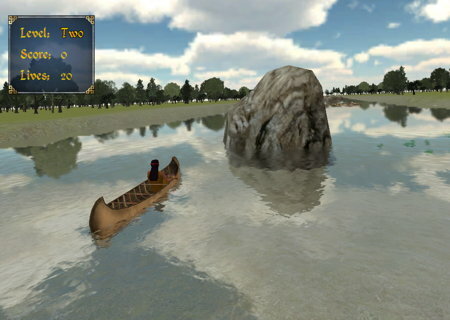 It’s a complete level from our best-selling game, Fish Lake, that teaches fractions and Ojibwe history. If you like Fish Lake: Beginnings , we’re hoping you’ll buy Fish Lake: The Complete Adventure , which is almost ready. It’s in the hands of our testers this week and should be in the app store before the end of the month. Seriously, if you teach at a low-income school, you’re using our free games and can’t afford a classroom license, please email us at info@7generationgames.com , we’d be happy to help you out.